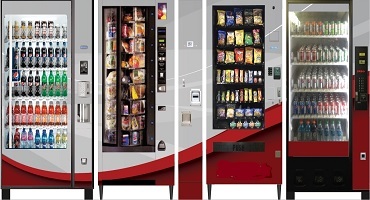 power consumption than standard vending lights. 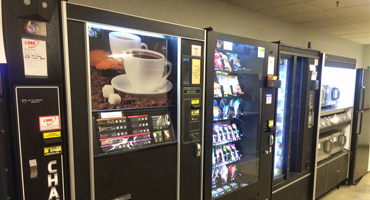 J. Bos Vending is one of West Michigan's largest full line provider of beverage, snack, coffee, and fresh food offerings. We are the one of the largest local independent vending service providers serving well over 600 clients in West Michigan. Call J. Bos Vending Service! Our machines are placed at no cost to you, the client, with no long term contract required. We also have flexible programs to fit your needs. J. Bos Vending Service is a family owned vending machine business that began in 1930. 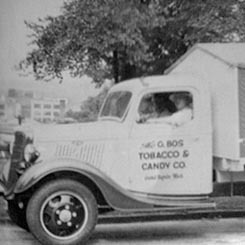 In 1930 Jerry Bos’s father started his vending company as a candy and tobacco wholesaler in west Michigan. 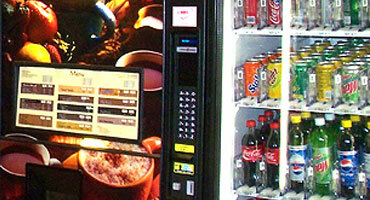 Vending machines began gaining in popularity In the late 50’s and early 60’s. As a result, the Bos family decided to make vending machine placement and servicing their core expertise. J. Bos Vending Service is fortunate to have a great staff on board. J. Bos Vending service has a staff with experience from 2 to 50 plus years of experience. Jerry Bos alone has 50 plus years of experience. Jerry, to this day remains very much involved in the business. 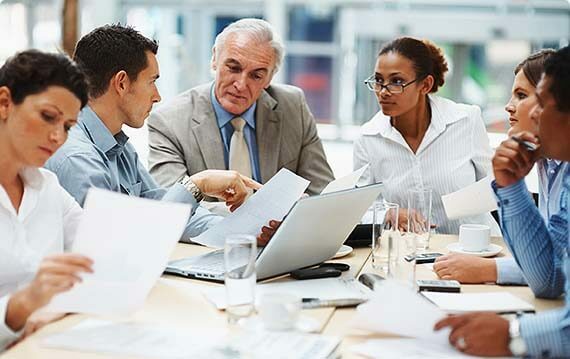 This amount of experience enables us to continue to serve our clients in a timely, efficient and professional manner. Jerry as well as his son John share in the running of the business. Jerry and John oversee the ordering of all inventory and John manages a staff of 12 route drivers to service over 600 locations in the West Michigan area. Service – To proactively stock product and provide timely service from installation to maintenance. Selection – To offer varied product selection that is never dictated by any manufacturer looking for product placement. 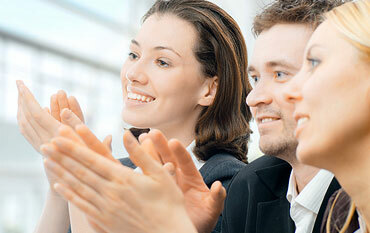 Price – To never lose sight that reasonable fair price points are important in driving end-user satisfaction. Satisfaction – Maintain the realization that it takes a delicate balance of Service, Selection and Price to ultimately achieve customer satisfaction. This results in driving up sales volume and commissions.